We are active in several foundations, communities and collaborations. Below is an overview. Associate member of Khronos, the non-profit technology consortium that maintains important languages like OpenCL, OpenGL, SPIR and Vulkan. The Khronos Group was founded in 2000 to provide a structure for key industry players to cooperate in the creation of open standards that deliver on the promise of cross-platform technology. Today, Khronos is a not for profit, member-funded consortium dedicated to the creation of royalty-free open standards for graphics, parallel computing, vision processing, and dynamic media on a wide variety of platforms from the desktop to embedded and safety critical devices. Heterogeneous System Architecture (HSA) Foundation is a not-for-profit industry standards body focused on making it dramatically easier to program heterogeneous computing devices. The consortium comprises various semiconductor companies, tools providers, software vendors, IP providers, and academic institutions that develops royalty-free standards and open-source software. The HiPEAC network is an FP7 project which gathers about 1500 researchers in computing systems in Europe. 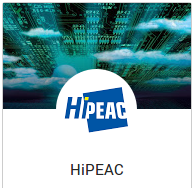 HiPEAC’s mission is to steer and increase the European research in the area of high-performance and embedded computing systems, and stimulate (international) collaborations. ETP4HPC is the European Technology Platform (ETP) in the area of High-Performance Computing (HPC). It is an industry-led think-tank comprising of European HPC technology stakeholders: technology vendors, research centres and end-users. The main objective of ETP4HPC is to define research priorities and action plans in the area of HPC technology provision (i.e. the provision of supercomputing systems). The Big Data Alliance aims to promote collaboration among the leading Dutch academic institutes and industry in Big Data and Data Analytics. Our main goals are to unlock and share knowledge, expertise and research and stimulate innovation and education in the field of Big Data. OpenPOWER Foundation is an open, not-for-profit technical membership group incorporated in December 2013. It was incepted to enable today’s data centers to rethink their approach to technology. OpenPOWER was created to develop a broad ecosystem of members that will create innovative and winning solutions based on POWER architecture.